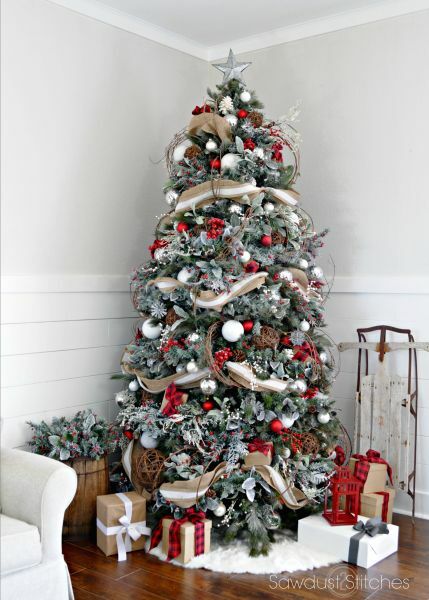 Best practices for choosing, purchasing and mounting your Christmas tree. An important part of picking a tree is height and girth. It is best to take measurements of the area you are putting it prior to purchasing. It’s no fun to have to start chopping the base of the trunk or the branches to fit in a room. If you choose one that is a bit too wide you run the risk of it falling down and also put your ornaments at risk. You don’t want to be walking by and chancing the tree ornaments hitting the ground. The fresher cut the better! Buying at a Christmas tree farm will give you a fresher choice than one in a retail outlet. These trees have been cut a week or two prior to being offered for sale, which means that the drying out process has started. First, check the needles – trees with brown needles or lose needles easily when brushing a branch lightly are already drying out. Move onto one which has less of both. You should cut the base before putting into your holder. Trees need to be mounted within 8 hours of cutting the base. The reason we suggest cutting is that after 8 hours the trees ability to absorb water is significantly hampered. DO NOT cut the base on an angle , a clean cut is best. You must keep it watered! in the first day, due to the freshly cut base it will drink approximately a gallon of water. By keeping water levels at about a gallon, you will be able to see how much the tree absorbs to guide your watering schedule. Check needles -adjust the watering schedule if it seems to be drying out. 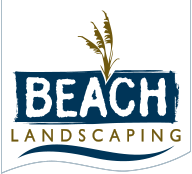 Beach Landscaping shares these tips with you to ensure a safe holiday season for you and your family!